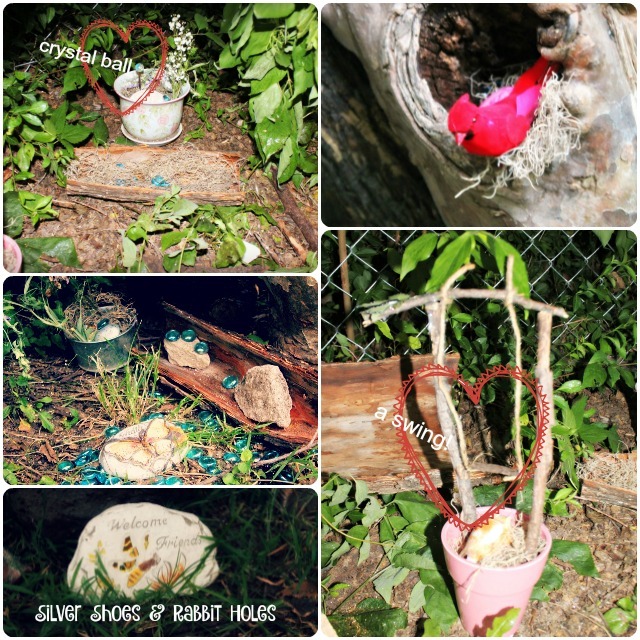 June 24th is almost over here in Kansas, but I wanted to share some International Fairy Day photos! You see, Mr. B took pity on me yesterday, and built a frame for a little fairy house. He still wants to build a much larger, semi-permanent structure, but that wasn't going to happen in time for Fairy Day. Once he started our little house, the girls and I were able to take over. 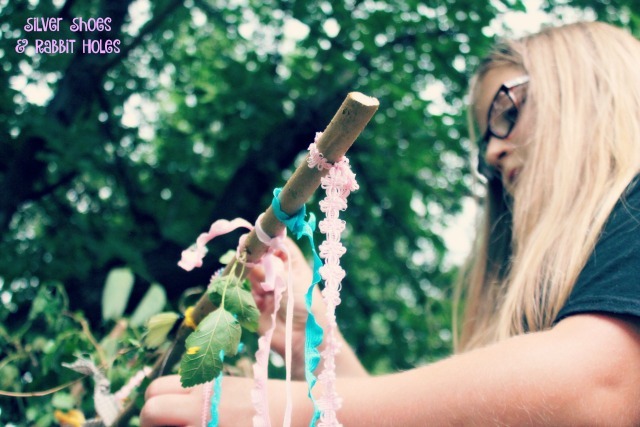 Thank goodness for twine, floral moss, glass beads, and pine cones! 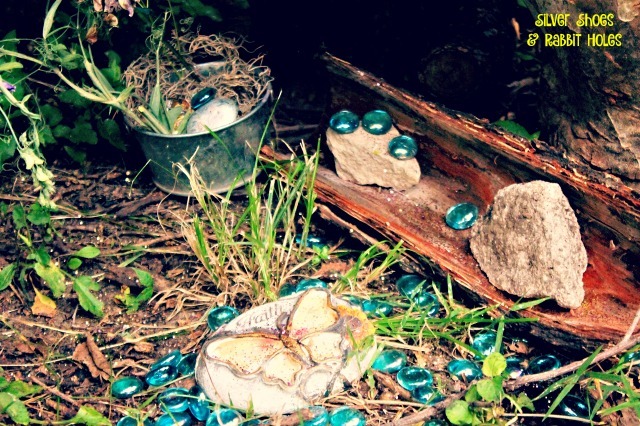 I think we built a lovely place for the fairies, just in time for the rain! 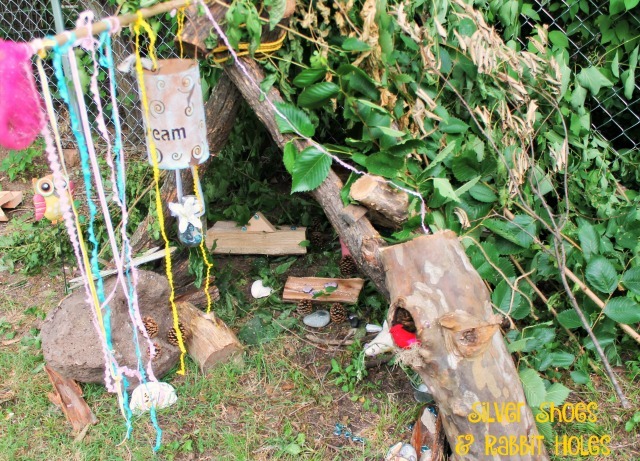 I also found out (via Facebook) that this week is International Build a Fairy House or Den Week! I feel like I'm so on top of everything now. It started raining as I finished my first round of photos. We got the pine cones from the field near the library and added them later. It rained again overnight and into the morning, which made for muddy, steamy conditions. Alas, I'm afraid we failed to play with the house much today. We made a fairy cake instead. 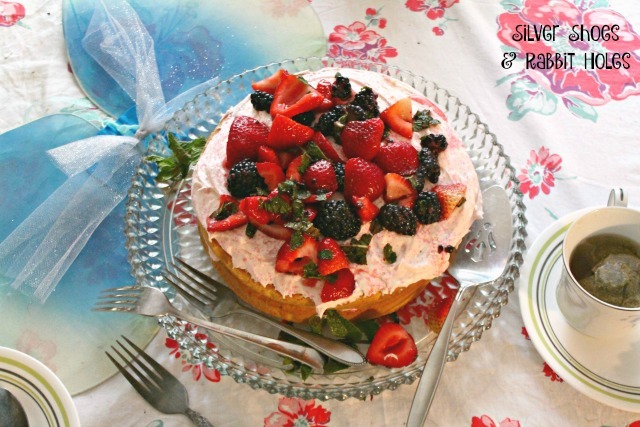 It's a simple two-layer white cake with vanilla confectioner's sugar icing. I tinted it with pink sanding sugar and strawberry juice. 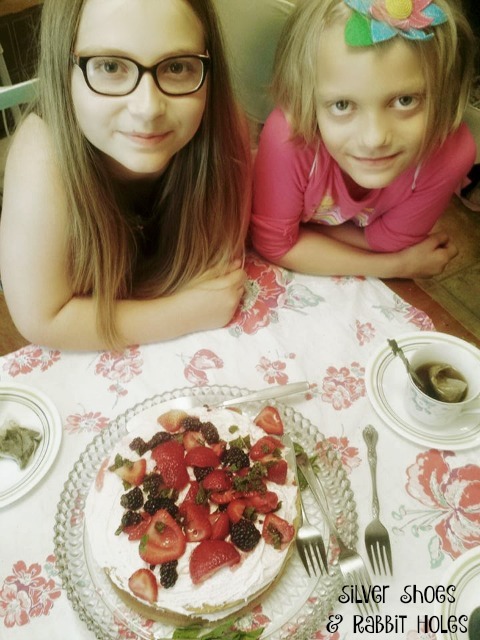 Strawberries, blackberries, and mint leaves made the refreshing topping. My little fairy fans approved. I have another delightful fairy book to show you, but I had a performance of A Midsummer Night's Dream in the park tonight (how perfect is that?!) and never got around to taking pictures. 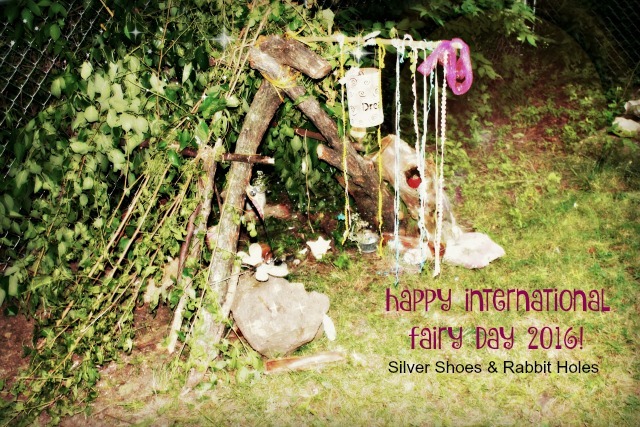 Did anyone else celebrate the fairies today? SO. CUTE. I love it! Thank you! 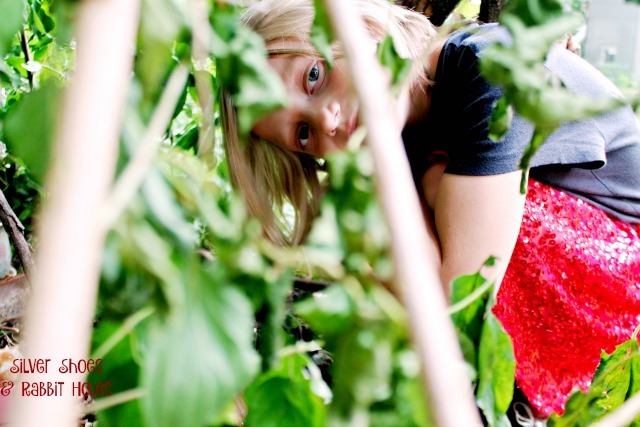 It's been so muggy and buggy outside lately, I admit, we haven't spend much time with it yet. It's cooler this week, so maybe today!